Harris officially inked a two-year contract with the Browns on Thursday, Scott Petrak of the Elyria Chronicle-Telegram reports. Analysis: Harris is set to add depth to a high-powered offense that features Baker Mayfield, Nick Chubb, Kareem Hunt (suspension), Odell Beckham, Jarvis Landry and David Njoku. 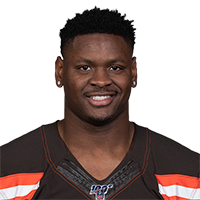 The 27-year-old will slot in behind Njoku on the Browns' tight end depth chart, on the heels of catching 12 passes for 164 yards and three touchdowns in 15 games with the Chiefs in 2018. Analysis: Harris moves from one high-powered offense to another, joining Baker Mayfield, Nick Chubb, Kareem Hunt (suspension), Odell Beckham, Jarvis Landry and David Njoku as part of an ever-growing collection of skill-position talent in Cleveland. The 27-year-old tight end appears to have settled for more money while maintaining a No. 2 role, as Njoku figures to top the depth chart for the foreseeable future. Harris isn't likely to offer much fantasy value in 2019 unless Njoku misses time with an injury. 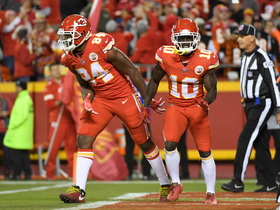 Harris hauled in his lone target for a two-yard gain Sunday in the Chiefs' 37-31 overtime loss to the Patriots in the AFC Championship Game. Harris recorded just 12 catches for 164 yards and three touchdowns on 25 targets during 2018. Analysis: It's not a huge surprise that Harris didn't rack up much in terms of stats during 2018 given the team's numerous offensive weapons, but he did manage to haul in a career-high total of touchdown passes. 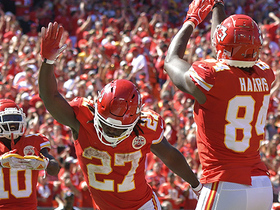 He's set to become an unrestricted free agent this offseason, so there is no guarantee Harris' home games will come at Arrowhead Stadium next season. Harris hauled in all three of his targets for 28 yards Sunday against the Ravens. Analysis: Harris' status was in question entering Sunday, but he was ultimately cleared to suit up. The second-string tight end proceeded to post his second straight multi-catch week after recording just one during the team's first 11 games. Harris remains on hand as the next man up at the position should starter Travis Kelce be sidelined for some reason. 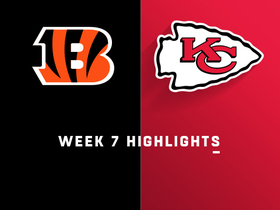 Harris (illness) is active for Sunday's game against the Ravens, Adam Teicher of ESPN.com reports. 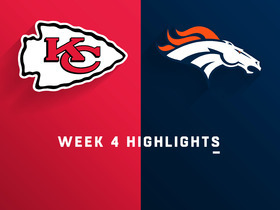 Harris (illness/knee) is listed as questionable for Sunday's game against the Ravens, BJ Kissel of the Chiefs' official site reports. Harris (illness) is not participating in Thursday's practice, BJ Kissel of the Chiefs' official site reports. Analysis: Harris is coming off a strong performance, where he caught three passes for 39 yards and a touchdown against the Raiders. It's unclear how serious the illness is for Harris, but it will be important to monitor his practice availability leading up to Sunday's game against the Ravens. Harris hauled in three of six targets, amassing 39 receiving yards and one touchdown during Sunday's 40-33 win against the Raiders. 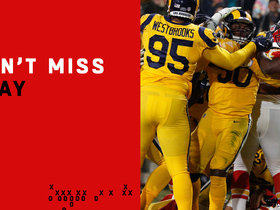 Harris snared just one of his two targets for three yards Monday against the Rams. Analysis: Harris was on the field for 54 percent of the team's offensive snaps Monday, but he remains well down the pecking order for targets. There's no reason to believe that will change in the coming weeks as long as Travis Kelce remains healthy. 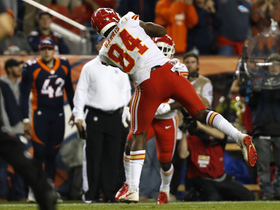 Kansas City Chiefs tight end Demetrius Harris catches a 17-yard touchdown from quarterback Patrick Mahomes. 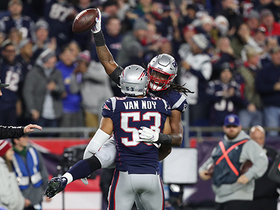 New England Patriots linebacker Dont'a Hightower snags interception with quick hands. 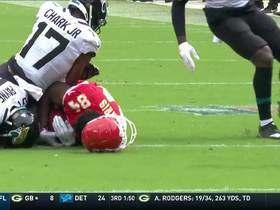 Kansas City Chiefs tight end Demetrius Harris fakes the handoff on a kick return and is taken down shortly thereafter. 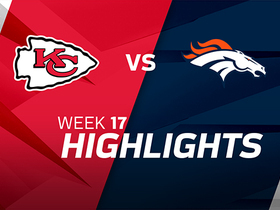 Kansas City Chiefs quarterback Patrick Mahomes reads Kansas City Chiefs tight end Demetrius Harris in the deep right for a 35-yard gain right before the two-minute warning in the fourth quarter against the Denver Broncos. 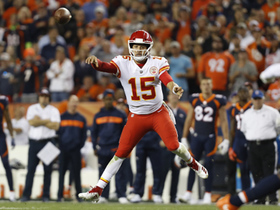 Kansas City Chiefs quarterback Patrick Mahomes escapes from the Denver Broncos pressured defense to throw to Kansas City Chiefs wide receiver Demetrius Harris for a 24-yard gain.